CUMBERLAND COUNTY, N.C. (WTVD) -- The Cumberland County Sheriff's Office is investigating a double shooting near Fayetteville. It happened Tuesday around 4:45 p.m. outside the Lake Lynn Convenience Store in the 3500 block of Gillespie Street. Officers say there was a confrontation inside the business between 24-year-old Jonathan Connell, 18-year-old Antonio Styles, and an unidentified man. According to investigators, Connel and Styles left the store, but a second altercation occurred in the parking lot between them, the unidentified man, and another unidentified man. That second argument led to an exchange of gunfire. 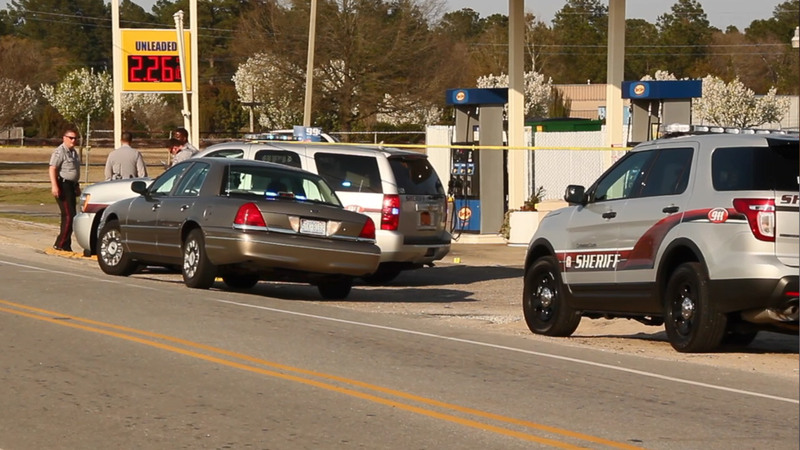 Connel and Styles suffered gunshot wounds and were taken to Cape Fear Valley Medical Center for treatment. Anyone with information regarding this incident and/or the identity of the individuals involved is urged to call the Fayetteville/Cumberland County Crimestoppers at 910-483-8477, Cumberland County Sheriff's Office at (910) 323-1500 or the Cumberland County Sheriff's Office Major Crimes Investigations Unit at (910) 677-5448.